Chief Coordinator of the Eastern Caribbean Trading Agriculture and Development Organization (ECTAD), Jethro Greene, believes the time has come for government to impose a cess on non-essential items in order to subsidise agriculture rather than continue to regulate certain imports. The profits are used to subsidise farmers. The Chamber of Commerce which previously expressed concern about the act has now accepted it following a meeting with the prime minister. ECTAD supported the chamber but still maintained that an increase in tax on luxury items should be used to raise funds for subsiding agriculture. âI think we should do away with it (the law) altogether and start raising the tax on non-essential products such as alcohol and tobacco, this would in turn replace the subsidy from sugar imports,â Greene told SEARCHLIGHT Business. 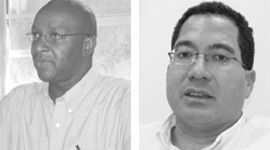 Currently, government is the sole importer of sugar but Greene believes that the Ralph Gonsalves administration should throw open the doors to the private sector. The introduction of the Value Added Tax next year should also put more money in government coffers to help farmers, Greene maintained. Meanwhile Head of the local Chamber of Industry and Commerce Martin Bollers said the Chamber remains resolute to challenge any future developments associated with the act that would affect its members and consumers negatively. He said that the act raises some level of concern in the Chamber.